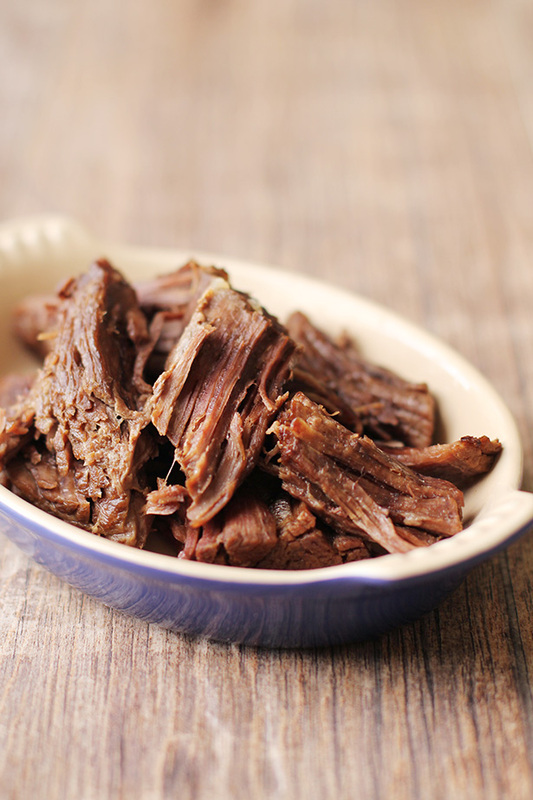 Today I have an easy, reliable recipe for simple slow cooker pot roast. This pot roast cooks perfectly every time and provides all kinds of wonderful juices for making gravy. Growing up my mom and my mom’s mom always made roast beef that was cooked in the oven. I loved their roast beef dinners, complete with mashed potatoes and gravy. Fast forward a few years to when I got married and started really cooking for myself. The first time we had friends over for dinner I chose to make roast beef, after all that was company-worthy food. Welll…despite my best efforts, the roast beef came out tough and dry. Our friends and my husband were incredibly sweet, praising my efforts. But I knew better. I tried cooking roast beef a few more times and eventually gave up. I just couldn’t replicate what my grandmother and mother could do. Fast forward a few more years to dinner at my friend Katie’s house. She made us pot roast in the slow cooker and it was delectable. She kindly shared the recipe and it has been a standby for me ever since. My family loves this pot roast because it tastes so good. I love it because it’s beyond easy and it makes a ton of wonderful juices that can be made into gravy. While this roast is different than the magic my mother and grandmother conjured, it is just as delicious and has provided new memories for our family. Enjoy! Generously salt and pepper the roast on all sides. Heat a tablespoon or two of olive oil in a large frying pan at medium-high heat. Once pan is hot, add roast, browning on both sides for a few minutes per side until it browns. 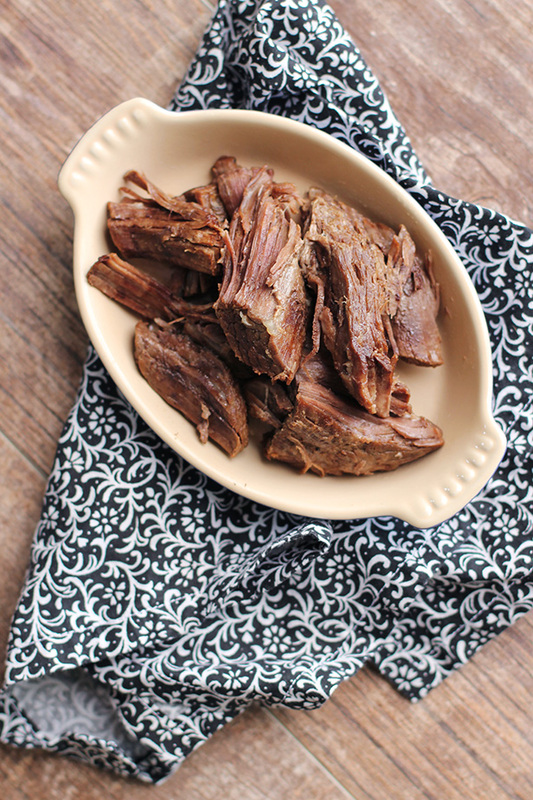 Place browned roast in slow cooker. Add beef consumme and water to slow cooker. Cook on low for 6-8 hours (I always try to go at least 8 hours so it gest super tender and "potroasty"). Use fluid in crockpot to make gravy. Click here for instructions on how to make gravy with white roux (the best way! ).